American runner Abbey D’Agostino advanced to the women’s 5,000m final after a protest. 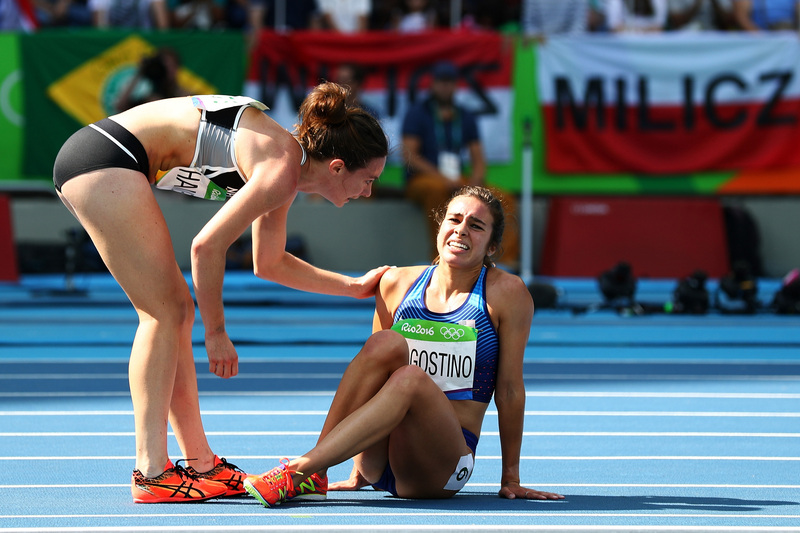 American Abbey D’Agostino nearly had her Olympic dreams dashed in qualifying for the 5,000 meters after a collision with New Zealand’s Nikki Hamblin. Hamblin tripped, causing D’Agostino to fall over her and injure her knee. D’Agostino helped Hamblin to her feet and the two continued the race. But D’Agostino was limping heavily after the fall and eventually fell to the track again, so Hamblin paused to make sure her opponent was all right before continuing with the race. Hamblin and D’Agostino finished in the last two spots, two minutes behind the top qualifiers. D’Agostino will race in the final on Friday after successfully protesting the result.